This plant is deployed for heat production during peak periods. 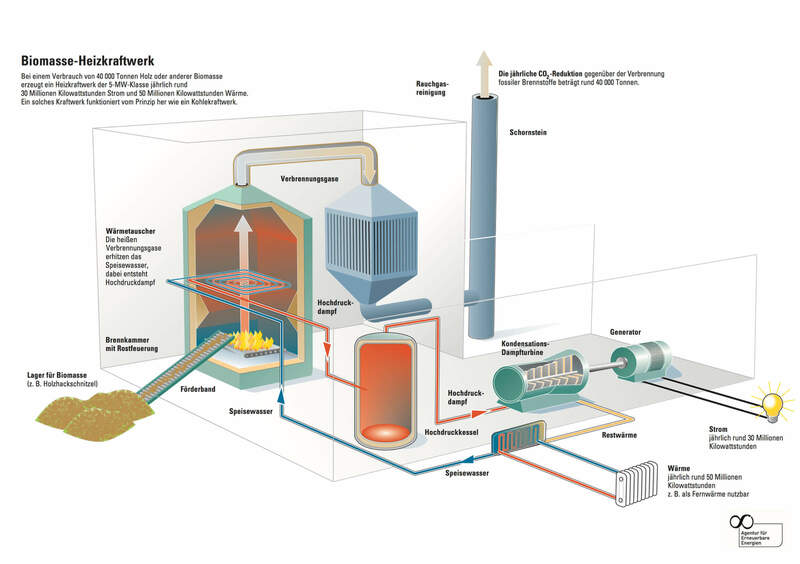 How does a woodchip-fired heating plant work? Solid biomass includes woodchips, a form of firewood. 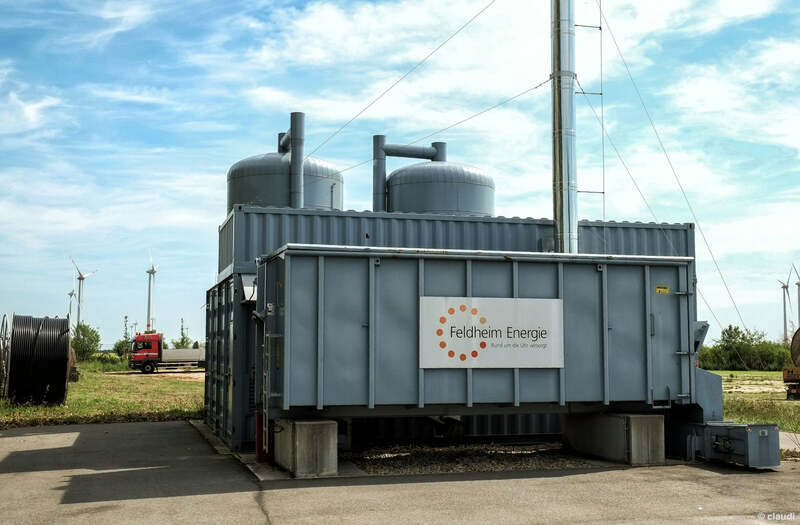 This fuel is increasingly popular in Germany, not only for generating heat, but also for power generation in small-scale co-generation plants. The advantage of biomass is that it is an inevitable by-product of timber processing. Essential thinning of local forests does not involve excessive strains on natural resources. A block-unit heating power plant fired with biomass is therefore a very attractive proposition from the environmental perspective. Less energy is needed to extract the raw material than is later generated. Heat or steam is produced centrally in a boiler and distributed via a district or local heating network. The advantages of district heat is that individual households no longer require their own boiler. A more efficient system for waste gas purification can also be applied. Today, biomass heating plants are generally installed with capacities of 300 to 20,000 kW, and are fitted with a fossil-fired backup and reserve surge load boiler to cover peak loads. Larger plants, with a total capacity in excess of 10,000 kW, are preferred in (biomass) co-generation plants for the combined generation of heat and power. The use of bioenergy, such as heat from biomass heating plants, is fostered with grant support under laws such as the Renewable Energy Heating Act (EEWG), because it also provides environmental benefits.